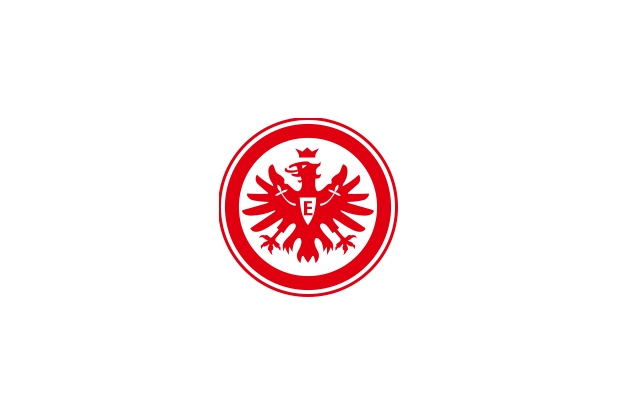 - The initials of the club's nickname are on the back of the neck; 'SGE' (Sportgemeinde Eintracht). There isn't anything particularly special regarding this club football shirt. I'm not a huge an of shirts that are the majority white. At least when Chelsea F.C. use white they seem to be able to make them standout thanks to the addition of a few other colours. The nickname Launische Diva ("Moody Diva") was heard most often in the early 1990s when the club would comfortably defeat top teams only to surprisingly lose to lesser clubs. This nickname was also held to refer to the what was regarded as the dubious work of some club chairmen, including for example, the failure to record the transfer fee of Hungarian star player Lajos Détári on club books. The current reign of Heribert Bruchhagen appears to have left these practices to the past. If the above has given you some inspiration to buy an Eintracht Frankfurt shirt then why not buy one of theirs from this season. Clicking on the photo will take you to the retailer.